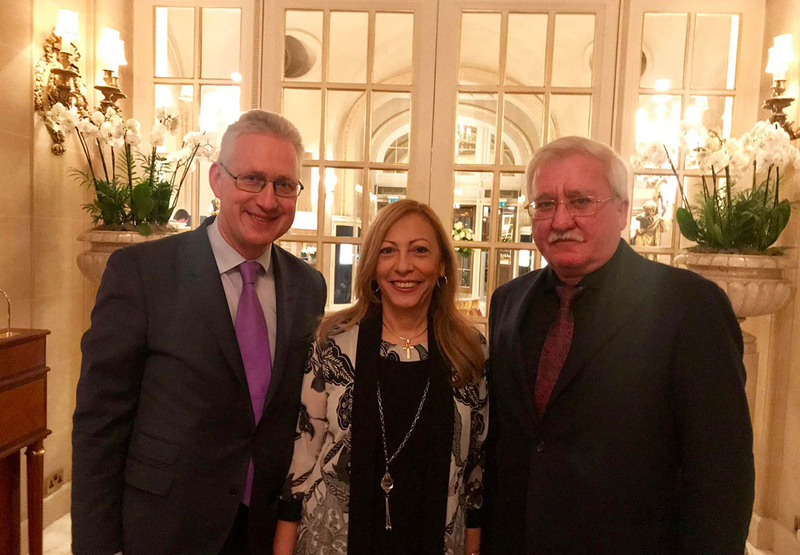 Head of Nation Igor Ashurbeyli met in London with the Head of Parliament Lembit Öpik and the Head of Government Ana Mercedes Diaz. They discussed preparations for the next digital Parliamentary Session and the First Asgardia Executive Congress. The Congress, for the first time in Asgardia’s history, will bring together representatives from all of its government bodies. Asgardian leaders will hear joint reports of committees and ministers on 12 general directions of the space nation’s development, such as science, culture, international relations, and more. 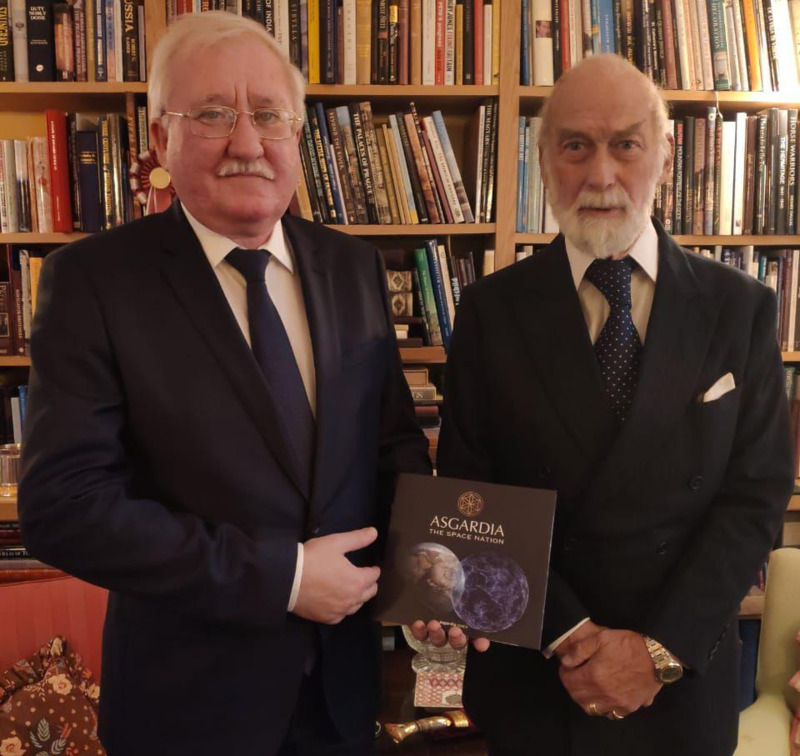 On March 7, 2019, Asgardia’s Head of Nation Dr. Igor Ashurbeyli and Prince Michael of Kent met in London. His Royal Highness received the Head of Nation in his residence at Kensington Palace. The Head of Nation and Prince Michael have known each other for more than 15 years of friendship and collaboration. The Prince is a patron of the Russo-British Chamber of Commerce, and Igor Ashurbeyli is its golden member. Three ministerial positions are currently available: Minister of Foreign Affairs, Minister of Information and Communication, and Minister of Equity and Resources. A number of positions in the Administration are also open, including 10 director-level positions. All positions require a bachelor’s degree or higher in a relevant field, at least 10 years of industry experience, and fluency in English. The Government of Asgardia has opened the application process to find the best individuals for high-level positions in various ministries, departments and offices. Igor Ashurbeyli (İqor Rauf oğlu Aşurbəyli) - Ashurbekov or Asurbeyov – noble Azeri ancestral family name; born September 9, 1963) is an Azerbaijani-born Russian scientist, businessman, and philanthropist. In 1988 he became the founder and first general manager (GM) of Socium. Socium was originally a small software and consulting company and is now a large holding company with over 10,000 employees worldwide. Socium’s slogan is “Per Socium Ad Astra,” which emphasizes the need for community and cooperation in humankind’s path towards the stars and exploration of space. Active in business and science, Ashurbeyli is not affiliated with any political organization or movements. Rather, Ashurbeyli prefers to participate in expert communities of scientists, professionals and entrepreneurs. Education: DSc in Engineering, PhD in Engineering with specialization in Computer Science. This monograph provides general characteristics of weapons and military equipment as objects of systemic study, as well as discusses military, scientific, and technological challenges to be solved within the various life cycle stages of such equipment. It outlines the basics of quality control, efficiency theory and operations research; the basics of decision-making theory, as well as optimisation goals with a comparison of alternatives for scalar and vector quality indicators; the methods of expert estimation of chosen objects. Various aspects of systemic research, conducted during the conceptualisation and development of weapons and military equipment, are described; statistical methods of processing and analysis of experimental data, including variance, regression and factor analysis methods as well as methods for research trials, are described. The system of equipment testing is described, and contents of research trials are provided. Considerable attention is paid to methods of experimental research. This book chronicles the development of Russia’s air and space defence technology, as well as how defence systems and arsenals are tested. The main development issues of Russian air and space defence technology and digital components base are discussed. Socium was founded by Dr. Igor Ashurbeyli in 1988. At the time, he was a young scientist, and Socium was just a small software company – yet it was also one of the first companies of its type, borne out of the Soviet Union’s new economic policies. Founding it was a risk and an adventure. Today, Socium Holding has over 10,000 employees at over 30 companies. Socium’s main goal is the development of a self-sufficient economic, organisational, and social infrastructure, which would provide – through large-scale use of advanced engineering and information technology, attentive personnel policies, and a positive corporate culture – an exceptionally creative and economically thriving environment for all Socium members, its partners, directors, managers, staff, and clients. Socium’s slogan, Per Socium Ad Astra, is meant to emphasize the need for community and cooperation amongst people in their post ambitious endeavours. Socium member companies include such well-known enterprises as the Maloyaroslavetsky Instrument Factory, FazAR LLC, Krasnoye Znamya Research & Production Centre, Elpa Research Institute OJSC and over 30 other companies operating in many diverse sectors within the fields of science, technology and the social sphere. Founded in 1957, the Plandin Arzamas Instrument Plant JSC is one of the leading Russian industrial enterprises. The plant is the largest company of its kind in Socium. Its main product line today is that of precision measuring equipment and tools – for civilian use, as well as for the space, aviation, and defence sectors. For over half a century now, the plant has accumulated vast experience in the design and manufacture of a diverse spectrum of precision gas meters used everywhere from major gas pipelines to private households, real-time water meters and real-time oil concentration meters, as well as gyroscopes, medical equipment such as precision dentistry devices, control systems, on-board computing machinery, electric components for radar systems, and so much more. The plant is also investing into the future and helping raise a next generation of high-qualified specialists. It is responsible for the establishment of the Department of Innovative Industrial Technologies at the Arzamas Polytechnic Institute (itself a branch of Novosibirsk State Technical University). The Elpa Research Institute OJSC is one of the oldest Russian companies involved in developing and manufacturing piezo ceramic materials, piezo ceramic, elements, piezo technical products and acousto-electronics devices for electronic equipment and systems designed for both civilian and military use. About 200 people work at Elpa today, including 15 PhDs and more than 90 highly qualified specialists. Since 2007, Elpa banks its future on the technical re-equipment of production. It has developed a unique software package for designing CAD surfactant structures of various devices and analyzing their characteristics, for use in radio frequency devices. Elpa delivers products to 173 enterprises all over the world, including Belarus, Hungary, Kyrgyzstan, China, Israel, and the United States. Over the past 3 years, the company has tripled the sales volume of its products. This was possible thanks to constant innovation and inflow of young specialists. Copyright 2015 - 2019. All right reserved.